July 25, 2018 | Tysons Corner, VA Offit Kurman’s Mergers and Acquisitions (M&A) Practice Group has completed another business transaction for a client, continuing the firm’s recent streak of record-breaking dealmaking activity in the Mid-Atlantic. Led by Offit Kurman Managing Principal and President Timothy Lynch and business attorney Theodore Marasciulo, the firm represented government contractor Applied Defense Solutions, Inc. in its sale to L3 Technologies, Inc. The deal closed on June 29th. 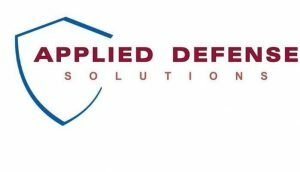 Founded in 2005, Applied Defense Solutions is an aeronautics engineering and software development firm that has worked with numerous government agencies in the fields of aerospace and defense. The organization’s staff of researchers, scientists, engineers, and business professionals has helped launch dozens of satellites, including military communications satellites, commercial imagery satellites, and equipment for NASA science missions. Now operating as L3 ADS, the firm is currently supporting several upcoming NASA, Department of Defense, and commercial satellite and constellation launches. ADS’ buyer, L3 Technologies, is one of the nation’s largest government contractors. Founded in 1997, L3 has earned recognition as a leader in aerospace and defense technologies, with systems and products spanning categories such as intelligence, surveillance, sensors, avionics, command and control, and navigation. The company has served agencies and organizations such as NASA, the Department of Defense, the Department of Homeland Security, and various telecommunications and wireless providers. L3 has grown largely through strategic mergers and acquisitions, having acquired more than two dozen firms in its 21-year history. For Offit Kurman, this transaction follows a string of successful M&A deals, many of which have involved government contractors. Recent transactions include the sale of VetsAmerica Business Consulting Inc. to Veteran Enterprise Solutions, Inc. (VESI); the sale of Engility to STS International, Inc.; and divestment of a joint venture owned by United Support Services (USS), LLC. Offit Kurman’s M&A Practice Group is currently developing a series of articles, resources, webinars, and speaking events focused on how business owners on both the sell-side and the buy-side can take advantage of the current M&A market. To learn more, and to get in touch with an Offit Kurman’s M&A attorney, click here.